Description: The WLO-5 speeder tank, also known as the Ubrikkian tank or Pirate tank, was a repulsortank with heavy armor and weaponry used by a Weequay pirate gang operating out of the backwater planet of Florrum. The WLO-5 speeder tank was flanked on each side with one large turbine engine. It was armed with one heavy laser cannon turret, which could turn 360 degrees and was located on the top of the tank. The tank was also armed with anti-personnel blasters located on the bow. The turret gunner sat in the open, behind the laser cannon, protected only by the gun's side-armor. Two additional crewmen piloted the craft from inside the vehicle, protected by its heavy armor. The additional crew had access to sensors and computer-based targeting software. 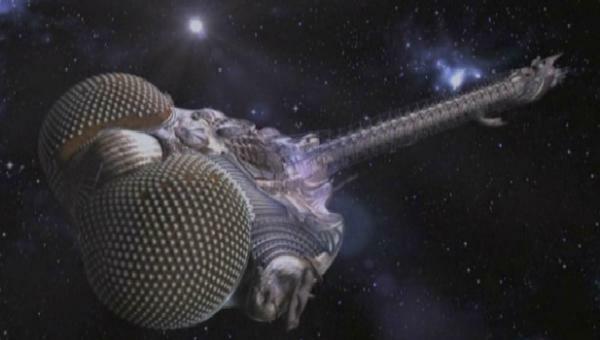 The craft could also function as a troop transport, with pirates capable of jumping out from the middle section of the tank. It was favored by pirates because of its ease of use, repair, and modification. Hondo Ohnaka was known to operate several of these vehicles in his "empire". 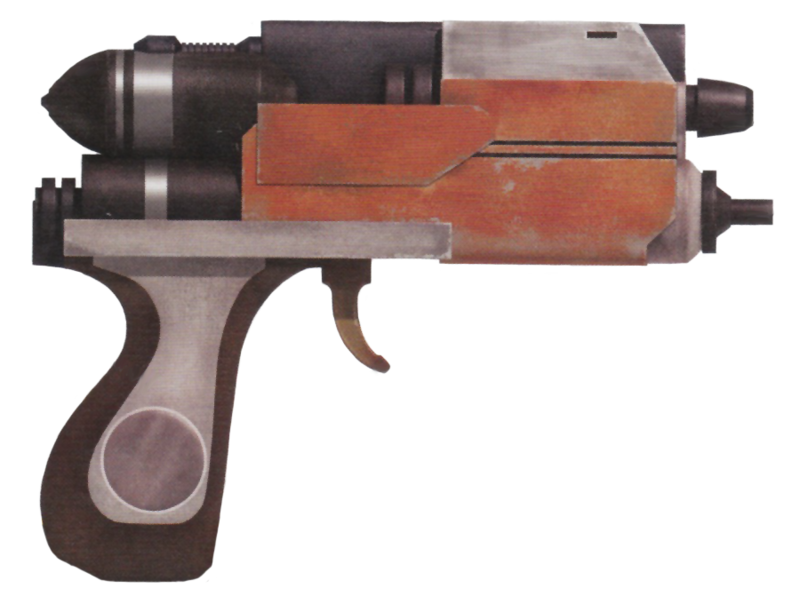 They were considered to be an operational equivalent to the AAT used by the Confederacy of Independent Systems, with the tanks being more maneuverable but less powerful. Around 22 BBY, amidst the Clone Wars, Turk Falso, a lieutenant of Hondo Ohnaka, wanted to steal the spice ransom sent by the Republic in exchange for the captive Count Dooku. His plans to steal the spice failed and to cover up his deceit he told Ohnaka that the Republic hadn't send the ransom, but an army instead. Falso convinced Ohnaka to send tanks to destroy the army. These tanks were called "Bombad clankers" by Republic Representative Jar Jar Binks, upon seeing them. During the rescue of Ohnaka's captive Jedi Anakin Skywalker and Obi-Wan Kenobi from Ohnaka's pirate gang, the Gungan Representative Binks was captured by pirates in the tanks. When he walked onto one of the tanks, Binks' clumsiness caused him to slip and cause the tank to hit the tank next to it. The tank then veered into the power line to Ohnaka's base, causing the electricity in the pirate base to go out. The Jedi were freed from their torture device, but Dooku escaped his cell and he left Florrum in a stolen Flarestar attack shuttle. The clone troopers and Binks then approached the pirate compound, hidden from view inside two stolen tanks and together with the Jedi, they left the planet in the Twilight. 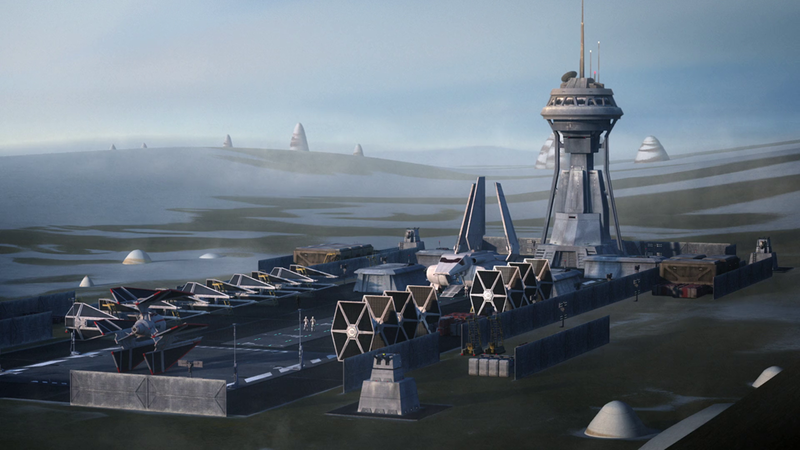 Ohnaka would later use one of the tanks carried aboard a Corona-class frigate to raid a nysillin farm on Felucia. The raid was not a success, as Jedi and a team of bounty hunters fought off the Ohnaka gang. 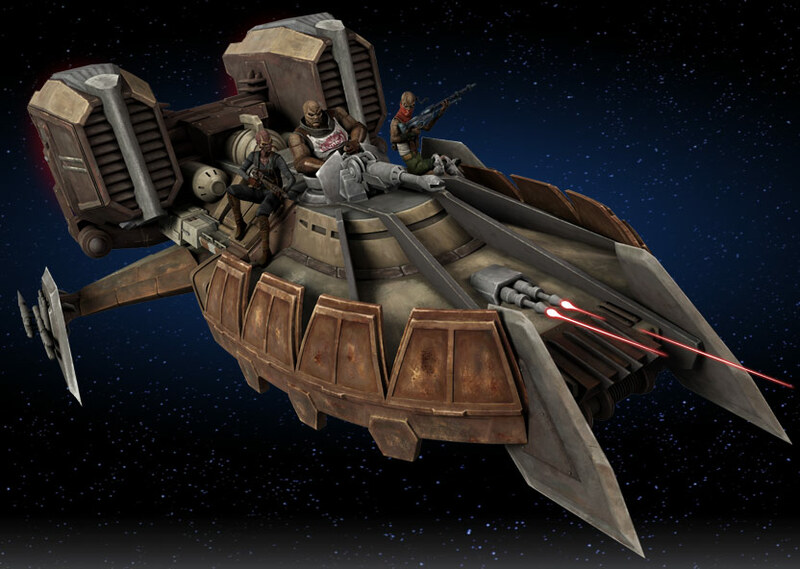 Around 20 BBY, one of Ohnaka's speeder tanks was stolen by escaping Jedi Padawans. Their craft was pursued by another of the tanks. The pursuing tank shot out one of the engines on the Jedis' tank, but the pirate craft was knocked aside by the cruiser Crucible, piloted by the astromech droid R2-D2. The pirates captured the Jedi, though, and returned to the outpost. The outpost had been captured by Separatist forces led by General Grievous, and Padawan Ahsoka Tano convinced her captors to help them. R2-D2 drove the tank past the droid forces, and the Jedi rescued Ohnaka. Together they boarded R2's tank, but were pursued by Grievous himself in a combat speeder. The cyborg General boarded the top of the tank and dueled Tano. R2-D2 tried to maneuver the tank to force Grievous off, but wrecked it in the resulting crash. The Jedi were then rescued by Ohnaka in the Slave I and returned to the Republic.